Most people know that cryptocurrencies are a means of exchange. What is lesser known is that cryptocurrencies serve a variety of other purposes besides transferring value. If you are planning to invest in cryptocurrencies, it is crucial for you to understand the differences between the types of cryptocurrencies. Here is everything you need to about the broad categories of cryptocurrencies, as well as how to evaluate their potential as an investment opportunity. Cryptocurrency exchanges like BinanceCoin and Kucoin are online platforms where users can invest in and trade cryptocurrencies. These exchanges create tokens that they use in operations. Essentially, tokens do not function as a currency. Instead, they facilitate access to a product or a stock. This comparison of exchanges will help you understand the options available to you, which one you should choose, and the factors you have to consider when opening a cryptocurrency account on your selected exchange. The release of a token is usually done through an Initial Coin Offering (ICO). An ICO is similar to an initial public offering (IPO) for the stock market. ICOs provide investors with access to the services or products covered by the token. They may also represent a stake in the cryptocurrency firm. If it is the former, then the token is categorized as a utility token. If the latter applies, it is considered as a security token. A utility token offers investors with access to certain services or products, such as a discounted rate and early or exclusive access. Utility tokens are associated with smart contracts and decentralized apps (dApps). A dApp is essentially a cryptocurrency with a user interface. One example of a utility token is the Basic Attention Token (BAT), which is integrated with Brave, a relatively new browser. When a user consents to view ads while browsing, he receives a specific unit of BAT. Every time a user views an ad on their site, content creators also receive BAT. When advertisers want to purchase ad space, they pay for it using BAT. BAT, in this case, is a utility token that is used for digital advertising products and services. Security tokens are, in a nutshell, digital securities. Like traditional securities, security tokens constitute ownership of a real-world asset that exists outside the blockchain. Because of their nature, security tokens are regulated by the appropriate government agency. In the United States, the SEC (Securities and Exchange Commission) has strict regulations on who can access security tokens. To be able to invest in security tokens, you need to be an accredited investor. Security token platforms like Swarm or Polymath are required by law to verify their users before allowing them to trade on the platform. Most of the top cryptocurrencies today are categorized as coins. This includes Bitcoin, Ethereum, and Ripple. Coins are distinguished by the existence of a blockchain, which is a decentralized, peer-to-peer system where transactions are recorded on a digital ledger. The presence of a blockchain is what sets apart a coin from a token. Privacy coins are cryptocurrencies that are designed to facilitate transactions between users without creating an identifiable track. These anonymous transactions may involve monetary value or even information. The underlying principle behind the creation of a privacy coin is that transactions should not be monitored or controlled by any one individual or organization. Monero has been anonymous since its release. In fact, no attempt to trace a Monero transaction has ever succeeded. Zcash, on the other hand, can allow both public and anonymous transactions. Users are given the option to do a private transaction, but it is not the default setting. Most of the well-known and established cryptocurrencies today fall under the category of currency coins. Currency coins function just like standard currency and can be used to purchase goods and services. Bitcoin – Bitcoin is considered as the first modern cryptocurrency. It also has the largest market share for all digital currencies available today. Bitcoin uses blockchain technology to enable transparent peer-to-peer transactions. All transactions are visible to other users, but only the owner of a specific unit of bitcoin can decrypt it using his private key. Litecoin – Launched in 2011, Litecoin is an open-source, decentralized global payment network. It was developed as an alternative to Bitcoin. Many users considered it is the top option in case Bitcoin fails. Stablecoins are cryptocurrencies with values that are attached to traditional assets such as gold or standard currencies. Stablecoins are very attractive to investors because they are, as the name suggests, more stable than a lot of volatile cryptocurrencies. In a bear market, for instance, an investor can convert their cryptocurrency to a stablecoin instead of converting it into standard currency—a process that can incur significant transaction fees. They can then convert it back to other cryptocurrencies when a bull market returns at minimal to zero cost. Most stablecoins have USD attached to their name. Some examples are Tether (USDT) and Gemini Coin (GUSD). However, this feature does not always hold, as in the case of the stablecoin Maker (MKR). Remember that investing in cryptocurrency is not easy. 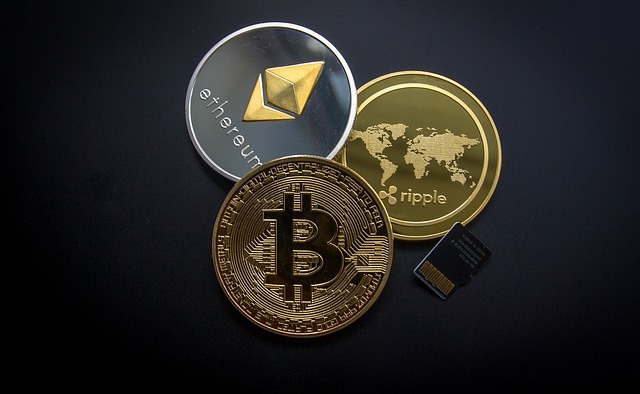 In some cases, you may need to buy the more popular cryptocurrencies like Bitcoin or Ethereum first before you can purchase other types of cryptocurrencies. This is the case for most tokens, which requires you to exchange your money for a currency coin first before you can invest in them. On top of knowing the value and features of the cryptocurrency you are planning to invest in, you also need to consider the impact of present and future government regulations. The realm of cryptocurrency encompasses more than just Bitcoin or value-based transactions. As an investor, doing your research is a must if you plan to buy, especially given the volatility of the market. Start investing only if you are comfortable with the knowledge you have gathered and after a thorough assessment of the risks and requirements involved.